Today around 10:30 we’ll be hitting the road. It’s been a nice layover here in Charlotte, but it’s time to shake the dust off. Due to a few changes on one of the projects that I’m working on, we’ve decided we need to get to Sarasota earlier than originally planned, so we’re going to have to skip Savannah this time around. Next stop: Jacksonville, FL. So far we’ve traveled about 1000 miles, and from here to Jacksonville it’s 400 miles, so we’ve got some ground to cover in the next day or two. Thankfully I’ve just purchased a 41 song album compiling all of Willie Nelson’s greatest hits (don’t tell Maile): “The Essential Willie Nelson.” We’ve gone way too far in this journey, in his bus, not to pay homage to Willie. Anyway, enjoy your weekend! And pray for Tamara Out Loud, since our family will be descending on her family’s residence sometime Sunday night or Monday morning! Hola! 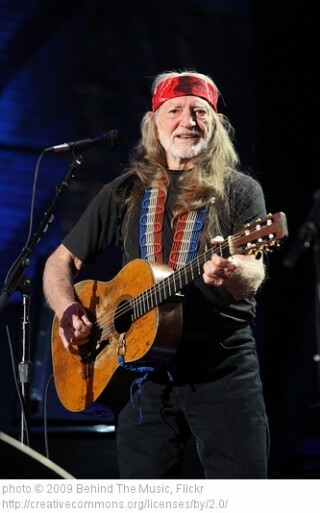 — And don’t forget Willie’s version of Coldplay’s “The Scientist”. That one’s been stuck in my head all week.